A few months back, I went on a prolonged rant/rave about having my primary monitor die and how I’d replaced it with a new 4k display and how shiny it was. It turned out that this was not, actually, the greatest idea. The rest of my computer wasn’t REALLY up to the task of driving a 4k display, even with older games, and HiDPI support in Windows software is a little… spotty, to be polite about it. Some older games, like Mass Effect, look great in 4k and properly scale their text to be readable, but there were too many that made me wish I kept a magnifying glass next to the computer. I managed to grit my teeth and make it through Dragon Age: Origins, but I finally broke when I tried to play Secret World Legends, a 2017(!) game that allows for scaling all UI elements up to 200%, but only offers three text sizes, all of which are too small to read comfortably. 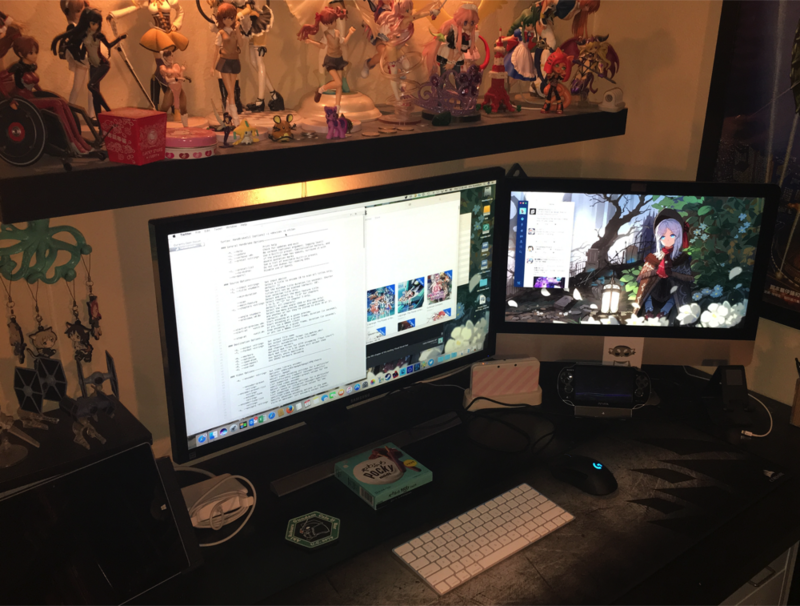 So that was the final straw that got the 4k monitor moved from my gaming PC over to the iMac that I use for productivity tasks, and it unsurprisingly makes a great Mac monitor. HiDPI displays have been a Thing on Macs for five years now, ever since the first “Retina” MacBook Pro, and of course I’m not trying to do any real gaming on it, so the OS and applications look great, and adding a 28″ external display to the 21″ built-in feels very luxurious. Actually, it absolutely dwarfs the built-in monitor. I did not expect such a difference until I had the two next to each other. Side note: I feel dirty using “Retina” to describe a display. Please know that the quote marks around the word are being used to convey sarcasm, and that Retina is being pronounced in such a way as to imply the speaker’s disdain for the term. REH-TIN-NUHHHHHH. As for the PC? Welp, it’s back to a 1920×1200 monitor that I’ve owned for the best part of a decade, and it’s a much better experience. Text is readable, games behave on it, and of course the GTX980 that struggled to keep a steady frame rate on the bigger screen has no problems driving the smaller one at a smooth 60fps in everything I’ve ever thrown at it. I COULD upgrade to a 1080 or similar, but it seems like a much better plan to just skip a few video card generations and come back. I’m kind of going through the slow process of drifting away from PC gaming anyway. I’m noticing that my left hand does not like being held in WASD configuration for hours on end anymore, so moving from KBAM to controller may be a necessary evil. Or I could, I dunno, take occasional breaks. I know, I know, I speak madness. This entry was posted in mac, PC Gaming. Bookmark the permalink. 2 Responses to I 4kd up. 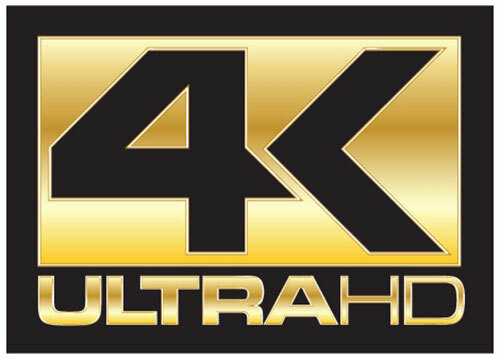 I was close to buying a 4K display the other day, during Prime day, and I’m sorta glad I paused on that. My monitor does just fine and the fact that I have a GTX 970 which is a bit dated at this point, makes me think I made the right choice. The 970 is still a really solid card, and I kind of regret choosing the 980. The leap between the 9xx series and 10xx series means that I didn’t get the future-proofing that I’d hoped for by buying the more expensive card. Oh well, live and learn 🙂 And when 4k-friendly GPUs are a little more wallet-friendly, I’ll have the monitor ready for them.